Hi, I'd like to show you this page I found on Rooms Furniture's website. Accent your kitchen space with this convenient kitchen cart. This versatile piece features three shelves for storage and casters for mobility. Stow your kitchen accessories or showcase decorative items on the kitchen shelf. 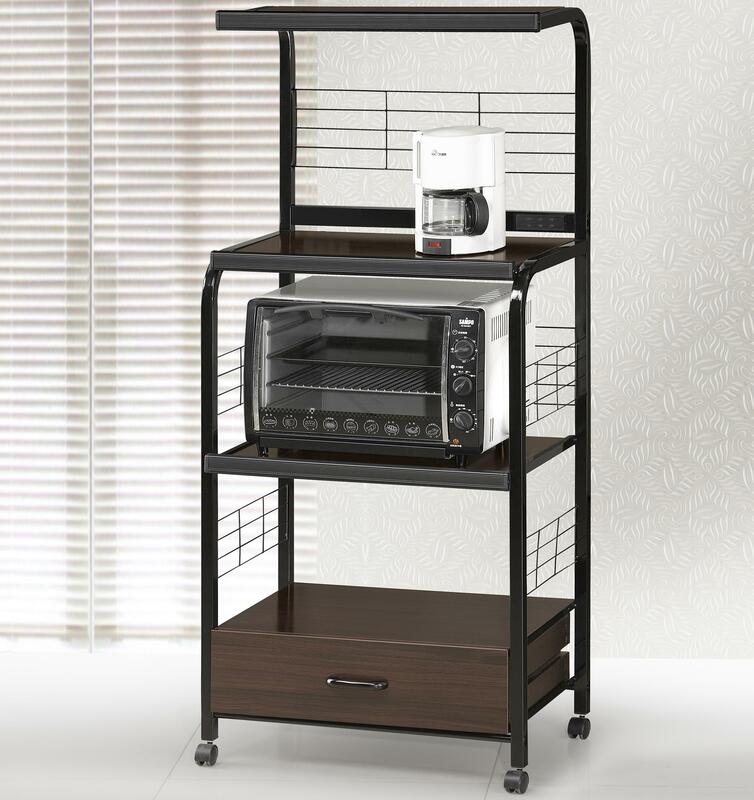 Whether you need a spot for your microwave, dishes, toaster, coffemaker, or other items, this kitchen cart will come in handy. Available in white and black finishes. The Miscellaneous Kitchen Shelf with Casters by Rooms Collection One at Rooms Furniture in the Houston, Sugar Land, Katy, Missouri City, Texas area. Product availability may vary. Contact us for the most current availability on this product. Enhance your home decor with the Miscellaneous collection. This collection features wonderful accessories and accent pieces that will make great additions to any home! The Miscellaneous collection is a great option if you are looking for furniture in the Houston, Sugar Land, Katy, Missouri City, Texas area. Browse other items in the Miscellaneous collection from Rooms Furniture in the Houston, Sugar Land, Katy, Missouri City, Texas area. Rooms Furniture features a great selection of living room, bedroom, dining room, home office, entertainment, accent, furniture, and mattresses, and can help you with your home design and decorating. View recent additions to our online furniture gallery. Rooms Furniture offers great quality furniture, at a low price to the Houston, Sugar Land, Katy, Missouri City, Bellaire, Harris County, Hunters Creek Village, Texas area.